Relationship is the greatest faith-shaping tool a parent possesses. Because kids learn about following Christ mostly from their parents, we have a huge responsibility to model authentic faith and its practice on a daily basis. Steve and Valerie Bell offer Faith-Shaped Kids as a practical tool to help parents maximize their relationship with their children in such a way as to draw them to faith. Filled with life lessons and useful suggestions, this resource helps readers ride out the roller-coaster ride called parenting. 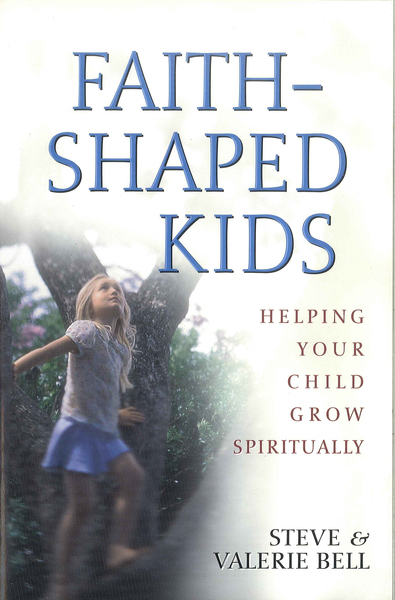 Faith-Shaped Kids is co-published with the Willow Creek Association (WCA). The WCA is affiliated with Willow Creek Community Church, the largest church in America, and serves thousands of pastors and Christian leaders through North America. Its primary goal is to foster local church transformation and vitality.